Mains of Taymouth Country Estate and Golf Course offer a selection of dog friendly 4* & 5* Visit Scotland luxury self-catering holiday properties sleeping from 2 to 12. 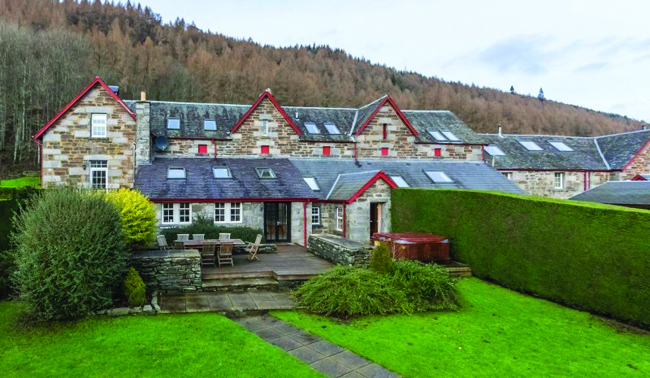 Situated in Highland Perthshire amidst some of the most stunning scenery in Scotland, Mains of Taymouth ideal for enjoying the great outdoors and lovely walks. Our properties are all distinctive in their own way and each interior is designed to give ultimate luxury for the whole family and their pets, including oak floors, enclosed gardens, underfloor heating. A family run business with 2 generations of delivering the best self-catering experience, Mains of Taymouth has ’Perthshire’s finest 9 holes’ on its doorstep and the riding stables continues to develop with a new all-weather outdoor arena for 2017. Apart from their own Courtyard restaurant bar, shop & delicatessen, there is a selection of fine establishments nearby, all in all, making Mains of Taymouth Country Estate & Golf Course the perfect holiday destination. 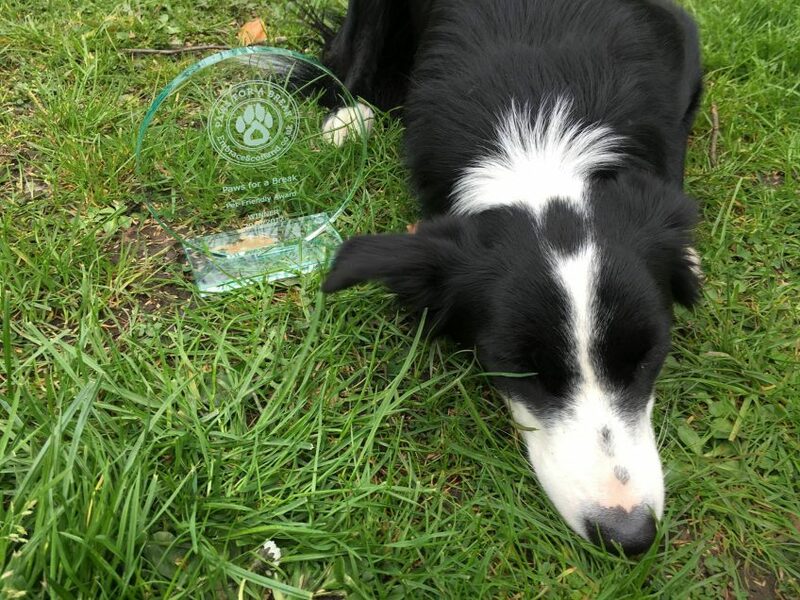 All dogs are made to feel welcome from as soon as they arrive when the owners pick their keys at reception while the dogs get their own goodie bag with a biscuit, suggested local walks and ample doggie bags. Many of the properties have private enclosed gardens for your dog to roam around while owners can relax in the hot tubs and saunas. The estate is in a very picturesque location, surrounded by stunning walks to explore. 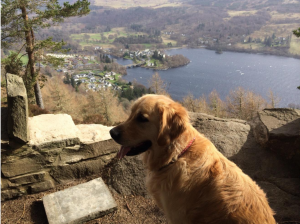 Dogs can be taken for a leisurely stroll down the riverbank of the river Tay, forest track up Drummond Hill or a more ambitious hike up a Munro. Kenmore beach is the perfect spot for throwing sticks, going for a paddle or for a relaxing picnic taking in the majestic countryside, Kenmore has something for everyone. Every dog is welcomed with a bowl of fresh drinking water at their table in our Courtyard bar while their owners can relax on the sumptuous leather sofas by the log fire or on the outdoor decking. At Mains of Taymouth Country Estate, they love our 4 legged friends and their resident reception dogs Surka, Bug & Mabel are always on hand to give a warm welcome! They do also respect that not everyone is dog friendly and we offer a selection pet free properties.